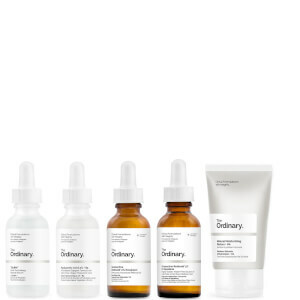 Create glowing, youthful skin with The Ordinary Healthy Skin Kit, a set of four products rich in vitamins, peptides and amino acids which work to restore hydration, brighten the complexion and smooth fine lines for a noticeably younger-looking effect. 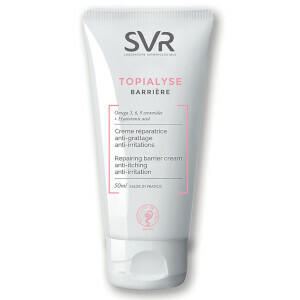 Visibly brighten skin with a moisturising cream that works to transform your complexion. 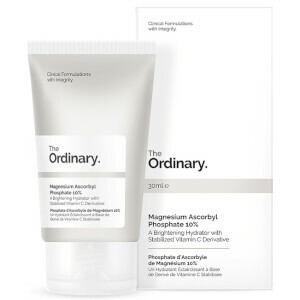 Magnesium Ascorbyl Phosphate is a water-soluble derivative of Vitamin C. Arriving in a lightweight cream form, the vitamin rich solution is both potent and effective, whilst being kind to skin. 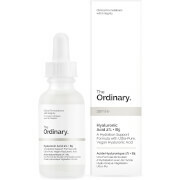 The concentrated Vitamin C formula is able to offer antioxidant properties, as well as visibly brightening skin tone and reducing signs of ageing, such as fine lines and wrinkles. Counteract dark circles and puffiness with a solution that delivers a highly concentrated dosage of Caffeine and Epigallocatechin Gallatyl Glucoside (EGCG) derived from Green Tea Leaves. The lightweight serum rapidly absorbs into the delicate eye contour to help reduce the appearance of discolouration and alleviate symptoms of fatigue and stress. 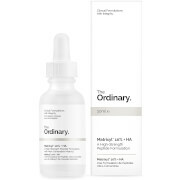 Skin feels refreshed and lifted with enhanced hydration and a more even tone. Target visible signs of ageing with a serum that targets multiple signs of ageing in one versatile formula. The concentrated treatment boasts multiple Peptide complexes, including Matrixyl 3000, Syn-Ake and Relistase, which work in synergy with 11 skin-friendly Amino Acids. 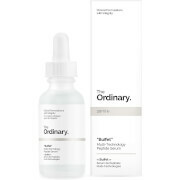 With regular use, the serum seeks to smooth the complexion, reducing the appearance of fine lines and wrinkles. Found naturally within skin, the botanical lipid Squalane is a saturated and stable hydrocarbon that delivers exceptional moisture retention properties and can help prevent transdermal moisture loss. Suitable for all skin types, it has been sustainably sourced and is non-comedogenic to avoid clogging pores. Skin feels replenished and supple, or apply to hair for enhanced heat protection, optimal shine and minimised breakage. Magnésio: aplique uma pequena quantidade desta fórmula em creme no rosto de manhã e à noite, após a aplicação de séruns à base de água. Cafeína: massaje uma pequena quantidade no contorno dos olhos de manhã e à noite. Buffet: aplique em todo o rosto de manhã e à noite após a limpeza. Esqualeno: aplique algumas gotas todos os dias, ou conforme necessário, em todo o rosto, de preferência após os tratamentos à base de água. Magnesium: Aqua (Water), Coco Caprylate/Caprate, Magnesium Ascorbyl Phosphate, Isodecyl Neopentanoate, Plukenetia Volubilis Seed Oil, Dodecane, Disteardimonium Hectorite, Polyglycerol-3 Diisostearate, Polyglycerol-3 Polyricinoleate, Glycerin, Hexamethyldisiloxane, Terminalia Ferdinandiana Fruit Extract, Tocopherol, Sodium Chloride, Phenoxyethanol, Chlorphenesin. Caffeine: Aqua (Water), Caffeine, Maltodextrin, Glycerin, Propanediol, Epigallocatechin Gallatyl Glucoside, Gallyl Glucoside, Hyaluronic Acid, Oxidized Glutathione, Melanin, Glycine Soja (Soybean) Seed Extract, Urea, Pentylene Glycol, Hydroxyethylcellulose, Polyacrylate Crosspolymer-6, Xanthan gum, Lactic Acid, Dehydroacetic Acid, Trisodium Ethylenediamine Disuccinate, Propyl Gallate, Dimethyl Isosorbide, Benzyl Alcohol, 1,2-Hexanediol, Ethylhexylglycerin, Phenoxyethanol, Caprylyl Glycol. Buffet: Aqua (Water), Glycerin, Lactococcus Ferment Lysate, Acetyl Hexapeptide-8, Pentapeptide-18, Palmitoyl Tripeptide-1, Palmitoyl Tetrapeptide-7, Palmitoyl Tripeptide-38, Dipeptide Diaminobutyroyl Benzylamide Diacetate, Acetylarginyltryptophyl Diphenylglycine, Sodium Hyaluronate Crosspolymer, Sodium Hyaluronate, Allantoin, Glycine, Alanine, Serine, Valine, Isoleucine, Proline, Threonine, Histidine, Phenylalanine, Arginine, Aspartic Acid, Trehalose, Fructose, Glucose, Maltose, Urea, Sodium PCA, PCA, Sodium Lactate, Citric Acid, Hydroxypropyl Cyclodextrin, Sodium Chloride, Sodium Hydroxide, Butylene Glycol, Pentylene Glycol, Acacia Senegal Gum, Xanthan Gum, Carbomer, Polysorbate 20, PPG-26-Buteth-26, PEG-40 Hydrogenated Castor Oil, Trisodium Ethylenediamine Disuccinate, Ethoxydiglycol, Sodium Benzoate, Caprylyl Glycol, Ethylhexylglycerin, Phenoxyethanol, Chlorphenesin.